For information on supported iOS versions, please reference the Anchor System Requirements Knowledgebase article. 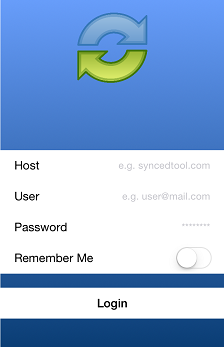 In the Host field, enter the host of the system (for example,syncedtool.com ). Press the Login button when you are finished. If Two-Step Authentication has been enabled as an organization policy, you will also be asked to configure a passcode after the initial registration process. 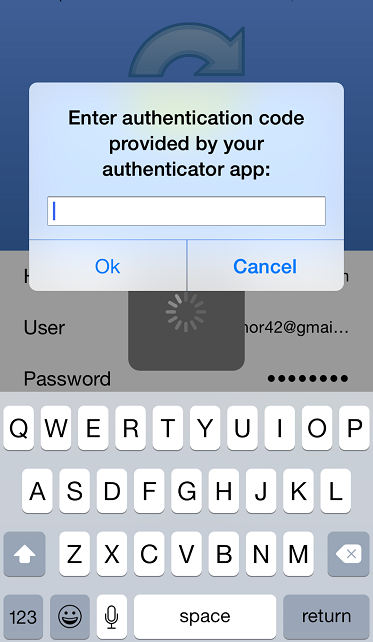 At subsequent sessions, you will be prompted to enter this passcode when you access your mobile app. You will be directed to the Settings page. Select Use Passcode. You will be prompted to enter a Passcode. 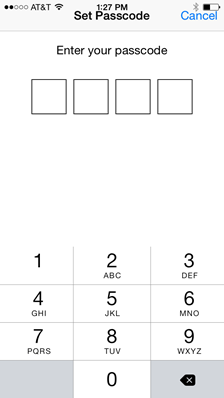 When accessing the mobile app in the future, you will be prompted to first enter this passcode. When you have access to your account, you can use the app to open and view files, edit files, manage files, and upload content. Press the Files button to view and manage your files and folders; you can rename or move an item, or mark it as a favorite. Press the Backups button to view a list of your backups. Press the Favorites button to view a list of items that you have marked as favorites. Favorites are saved for offline viewing. Press the Upload button to upload content—such as images—from your phone to the server. Press the Settings button to view your account information, such as the app version, your user name, space usage, passcode lock settings, and local storage settings. You can also turn on the option to only upload content over a wifi connection. You can view files using the iOS app, allowing you to preview and edit content without fully downloading it to your mobile device. You can also use the Collaborative Web Editor to edit files and collaborate with coauthors in real time. In this way, you can review and update content without utilizing mobile resources. Press the Files button. The Files screen displays. In the Files screen, find the file that you want to view. Press the title of the file. The file opens, allowing you to review content without utilizing mobile resources. Press the Edit button to open the file for editing. The Collaborative Web Editor opens in editing mode, allowing you to edit the file and collaborate with coauthors in real time. When you are finished, press the Done button. For information on the Collaborative Web Editor's functionality and technical specs, please reference the How to Use the Collaborative Web Editor Knowledgebase article. 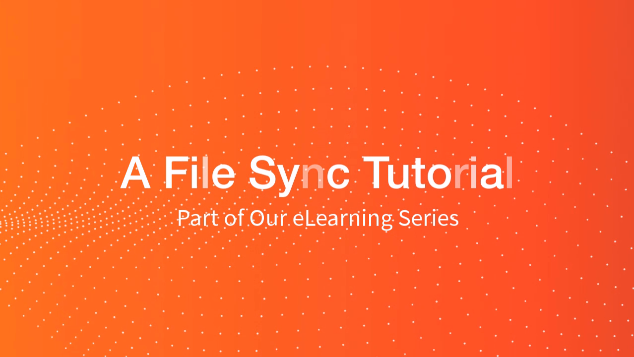 Open a file; for example, you might need to open a file attachment from your email application. Within the file, press the Share button. In the Share menu, select Save to Files. In the Choose Location screen, select Synced Tool. You will be prompted to select the exact location from the folder list. Optionally, you can lock a file or folder within a Team Share. In the Files screen, press the Edit link at the top right-hand corner of the screen. Select the appropriate file or folder, and then press the Lock button at the bottom of the screen. The item is now locked, preventing other users from accessing your content. Locks are enforced across the web, desktop clients, and mobile devices. You can share files and folders directly within your app. You can also send secure shares. In the Files screen, find the file you want to share. Using your finger, slide the file to the right to reveal additional options. Select E-mail secure link to send a secure share. You will be prompted to enter a recipient email address and compose an email message. Select Email link to send a public share. You will be prompted to enter a recipient email address and compose an email message. Select Copy link to clipboard to copy the URL. You can then paste the URL within an email message, text message, or other communication tool. You can also automatically back up your mobile phone's camera roll to a synced folder using the Auto Backup feature. When this feature is turned on, your mobile app will automatically back up photos, videos, or both, to a synced folder called Camera Uploads. With this feature, you always have a backup of your mobile photos and videos. In the Settings page, press the Camera Upload option. The Camera Upload menu displays. Select the Enable Camera Upload option to back up photos on your device. Select the Upload Videos option to back up videos on your device. 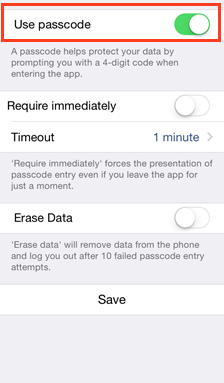 Select the Background Upload option to initiate backups without accessing the app. Note: When uploading content over your mobile network, charges from your service provider may apply. Back in the settings page, you can optionally turn on the Only Upload over wifi option to upload content only when you are connected to a wifi connection. This setting will help you avoid charges from your service provider. Finally, you can mark files and folders as a favorite so that they are downloaded to your device. Your mobile app will be aware of files that are not favorites, but only favorite files and folders will be fully downloaded. You can decide to favorite and unfavorite files and folders based on space limitations and access needs. In the Files screen, slide the appropriate file or folder to the right to reveal a set of options for that file or folder. Press the Favorite button (star icon) to mark the file as a favorite. If you favorite an entire folder, all if its files will become favorites as well. To a view a full list of favorite files and folders, press the Favorites button.